The waste management, and the issue of marine littering, is closely connected to broader context of circular economy. The EU’s effort to develop a sustainable and resource efficient economy builds on an enhanced transition to circular economy. Increased plastic recycling is an essential goal. In the circular economy “the value of products, materials and resources is maintained for as long as possible, and the generation of waste minimized”. The valuing process is maintained through the whole lifecycle of a product, from the very beginning, the use of raw materials, and going on to the end of a product’s life. Materials that can be recycled provide an alternative source of raw materials. A reduction in primary raw material usage during the product manufacturing generates less end-of-life material, waste. 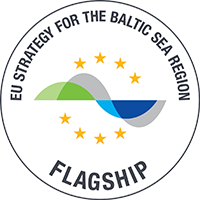 The Baltic Sea circular economy guidelines have been ruled within the EU and through cooperation projects within the Nordic countries. In the EU action plan for the circular economy plastic is one of five priority areas. Together with the legislative proposals on waste and chemicals policies, the action plan sets long-term targets to increase preparation for reuse and recycling of key waste streams such as origin from packaging industry. The Waste Framework Directive determines the waste hierarchy. The goals in order of priority are: prevention of waste, preparing material for reuse, with following options of recycling and energy recovery, and finally disposal as landfilling or incineration with no energy recovery benefits. The plastic industry has large economic value and EU has developed a supportive framework to make the plastic value chain more sustainable and resource efficient; it is in businesses’ interest to find solutions that enable sustainable production patterns. An essential first step is to identify “hot spots” within the value chain where interventions have the greatest potential to improve the environmental and social impact of the system as a whole. Industries can use innovative power to design solutions that can enable and inspire individuals to lead more sustainable life­styles and reducing environmental and social impacts. The EU Commission’s Strategy of Plastics in a Circular Economy addresses issues of recyclability, biodegradability, and presence of hazardous substances. The Strategy touches several policies: climate action low carbon goal (plastics are mostly produced from fossil resources), industrial policy, research, innovation and the protection of human health and the marine environment. It aims to provide a systematic perspective on the issue, and to create synergies with other actions such as chemicals and product policies. It creates measures to boost markets to secondary raw materials – including improvement of quality and intake of them – and development of new technologies. The Strategy calls for rethinking of collection and separation systems of plastics. The EU aims to work together with manufacturers to develop quality standards for sorted plastic waste and recycled plastics. The circular economy, including the strategy of plastics, is facing several challenges such as limited availability of resources and knowledge, regarding the coordination between the various actors at different spatial levels. Transition to circular economy requires investments in collection, sorting and recycling infrastructure. To support the implementation of practical applications EU plans to produce a guide on waste classification for waste operators and authorities. Improved coherence between the implementing of waste laws and chemicals policies, and exchange of best practices to test methods improving traceability of substances in materials, all support the goal of non-hazardous environment and circular economy. Microplastics, used intentionally in products in order to accomplish a certain function (e.g. microbeads in cosmetics), or because they are generated through the wear and tear of products (e.g. through washing of textiles) or the breakdown of larger plastic pieces, remain in ecosystem for decades or centuries. When becoming aware of the environmental risk and by the demands of consumers, few manufacturers have initiated voluntarily reductions of microbeads use. EU aims to restrict the use of microplastics in products through the Registration, Evaluation, Authorisation and Restriction of Chemicals regulation (REACH). Some plastics include hazardous chemicals, used to improve the product’s characteristics. The issue of trade-offs between the goal of cleaner production (non-hazardous environment) and higher recycling rate (resource efficiency) is complicated by the presence of hazardous substances. Increased recycling can be accompanied with undesired side-effects by introducing chemicals back into the loop. For example plastics in demolition waste can include hazardous chemicals. In current EU legislation there are discrepancies resulting in the fact that the same material can be considered hazardous or not hazardous depending on whether it is a product or waste. It means that the non-hazardous waste re-entering in the economy can still have hazardous properties as a product. Effective policy instruments, such as economic incentives and disincentives, can reduce use of hazardous chemicals in manufacturing and enhance recycling rates of plastics. The idea of sustainable circular economy and resource efficiency can be best realized if the market goods are produced using non-hazardous chemicals, and manufactured and marketed with business models that enable cycles of: repairing, reuse, remanufacture, and recycling of materials. For now, a comprehensive picture of how recycling of plastics is combined with the aim of non-hazardous environment is missing. The idea of resource efficiency applied in packaging industry would decrease the raw material inputs used in production (upstream impact). There have been several innovations aiming to replace regular plastics in packaging, with such as biodegradable plastics and wood-based materials. However, biodegradable plastics could aggravate plastics leakage, as they usually degrade only under specific conditions; entering regular plastic recycling streams they may compromise the quality of recyclates; becoming litter they can cause harm to ocean ecosystems. Additionally, in adoption of new eco-friendly materials in manufacturing there are challenges to make the production economically profitable, and selling the new concept to brands, retailers and consumers. As all citizens play a role in litter management, they need to be properly informed about environment policy and increased knowledge about the issue. The choices made by millions of consumers can support the circular economy and prevent the generation of waste, affecting the marine littering. Studies indicate that in the Baltic Sea consumer behavior is considered as the most important factor for marine littering. According the surveys most of the EU citizens are concerned about marine litter and their impact on human health and the environment. The awareness-raising campaigns, education together with organized clean-up actions, orient citizens to make sustainable choices minimising their environmental impact. One essential goal of the plastic strategy is to make it easier for citizens to identify, separate, reuse and recycle plastics. Innovative forms of consumption can support the development of the circular economy. Examples of new forms of consumption are sharing products or infrastructure, consuming services rather than products, or using information technology or digital platforms. The consumer habits are shaped by the regulatory framework, the range and prices of existing products, and received information. There are many aspects of consumption that with simple changes can have a big impact on society as a whole. EU leads the achievement of the goals relevant for the issue of plastic pollution on ensuring sustainable consumption and production patterns. Policy initiatives can be most effective when supported by increased awareness and knowledge on the consequences on marine ecosystem in changing existing attitudes.